Manage interstellar pioneers and their descendants in this detailed sci-fi colony sim. Centuries after planetfall, colonists are still struggling to gain foothold on their lush and alien planet. Build a town on the frontier by carefully managing resources, production and different personalities. Indirect control -- the colonists are free and have a democratic society. Dissatisfied people can either leave or vote for improving their colony: Only if you have ambitious inhabitants will you access better technology and develop a camp into a comfortable town. ...We draw inspiration from ‘The Settlers’, ‘Dwarf Fortress’ and Paradox games. ...The maps and scenarios are hand-made but we ensure replayability by randomizing starting location, number of resources, colonists, trade goods, animals etc. In this large, open-ended map you start off with a mining crew who are extracting rare-earth metals in an alien landscape, while fortifying against the ferocious 'swarmer quadites' that live there. Your mining crew are free to settle on the nearby grasslands and switch to farming, fishing and trading, attempting to draw in people from the neighbor sites. They will use a mix of advanced and primitive technology. Genre: Hard sci-fi, colony sim game where you manage settlements on an alien planet. Indirect control – the colonists are free and have a democratic society. Dissatisfied people can either leave or vote for improving their colony: Only if you have ambitious inhabitants will you access more advanced technology and develop a camp into a comfortable settlement. Several open-ended tutorials and scenarios introduce you to the game's setting and mechanics and make you ready to tackle the open-ended maps where you build a settlement from scratch. Announcement: Unclaimed World reaches version 1.0 on Oct 4th 2016! Played a bit this evening,, I barely scratched the surface, but pleased thus far. I'll get some more time in tomorrow night. Looks very promising, love the theme :). I was just looking through Steam green light and saw this, It looks very interesting. I can't wait to give it a try. Else, you can wait till it's more stable. 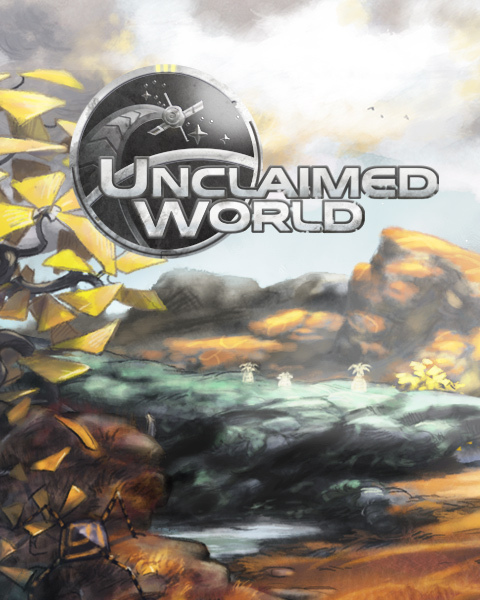 Remember to sign up for the newsletter on the front page of our website www.unclaimedworld-game.com to stay informed. Want to play to this game!!! God, I Love this style! Great concept - CHECK, Great artwork - CHECK, I'll reserve judgement on mechanics when I can play it. I hope it isnt overpriced! Really looking forward to this one.